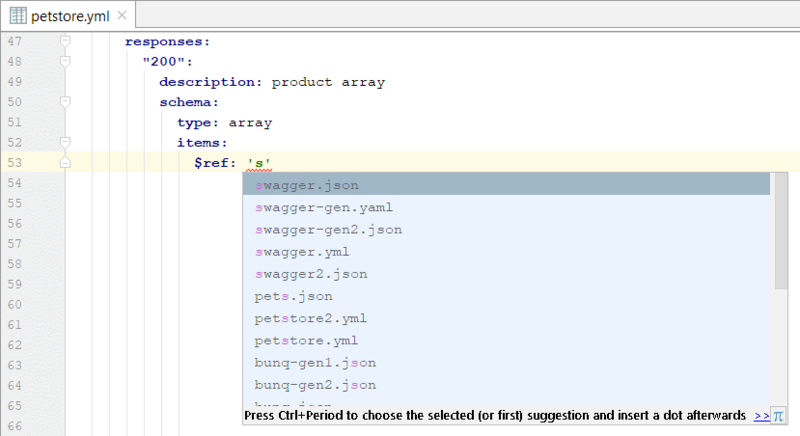 icon on the left is to load the current active file in the editor into Swagger UI. The browse control in the middle lets you choose any API specification. If the file you’re editing and the file displayed in Swagger UI are the same, the Swagger UI preview is updated when you make a change to the file in the editor. Thanks @WillGibson for pointing out this usability issue. Swagger UI no longer freezes when you’re editing operation parameters. File completions for $ref values work again. Increased the expire claim for subscription tokens and added extra leeway when verifying the token. This should solve issues #690, #689, #688, #687, #686, #684, #683, #678, #677 and #676. – Fixed issues #664 and #233.